To complete this craft project children pick the flowers they wish to use and wait a week or two while the flowers are pressed and dried. Activities that deliver delayed gratification are helpful because of the additional lessons they teach: Children will learn how to plan ahead and appreciate the value of patience. book, and leave for one to two weeks. 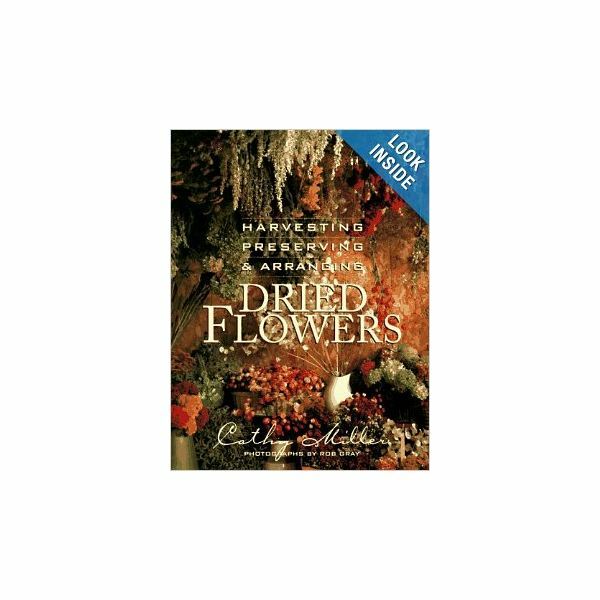 Harvesting, Preserving & Arranging Dried Flowers by Cathy Miller is a great book for teachers who want to learn more. For a group project, write each student's name on the top piece of newspaper. Line them up on a shelf, and place a board on top to flatten them. Place bricks (or other heavy objects) on top of the board and leave for a week or two. You can also choose to purchase a flower press (here's a small version). Flower presses are not difficult to make; they are essentially two pieces of wood with holes for screws and wingnuts. Flowers are placed in paper between the pieces of wood, and the wingnuts are tightened to press the flowers. The same amount of time is required to dry the flowers properly. If you make your own, you can use large sheets of plywood so that you can dry flowers and leaves for mulitple students at once. Clear contact paper or laminating supplies. Cut a piece of cardstock about one and one-half inches wide, and six inches long. Plan out the flower design for the bookmark. Carefully glue the flowers in place with white craft glue. Try to use just the amount of glue necessary; too much glue might look messy later. Frame the bookmark by gluing ribbon around all four edges. At this point, one option is to laminate the bookmarks. Another option is to press clear contact paper on both sides of the bookmark. Work carefully, press the bookmark smooth and flat so that no air bubbles get trapped in the bookmark. Place the bookmarks face down on the sticky side of clear contact paper. With a second piece of contact paper, place the sticky side down on the back of the bookmarks. It is helpful to start at one edge and roll the paper down onto the bookmarks. Smooth everything out, and cut out the bookmarks with scissors.